Frank just loves to keep his master happy. 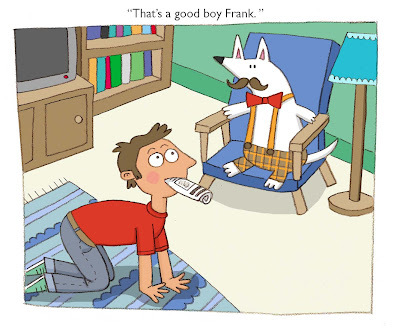 Good boy Frank! Off to your bed! Don't chase the cat! cute, wallace and grommit tone! I love the dog! Great character and classy clothes. I would love to know more about your experience at Falmouth. I am looking at studying there. Very funny, I like this a lot!